ICR IOWA is teaming up with educators and local agencies to bring the global initiative Hour of Code to eastern Iowa schools from Dec. 3-9, reports Corridor Business Journal. 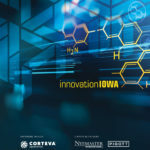 The program is supported through ICR Future, a regional coalition of five teams, including a computer science team led by NewBoCo, the Grant Wood Area Education Agency, Southeast Iowa STEM Hub and the region’s IT Sector Board. Regional school districts are encouraged to register Hour of Code events at code.org to enter to win funds for additional support.